Japanese J2 League side V-Varen Nagasaki have teamed up with hummel to produce two commemorative “Pray for Peace” shirts, marking 70 years since the atomic bombing of the city. Up to 100,000 people are estimated to have died in the blast, coming just three days after a first bomb was dropped on Hiroshima. It is not surprising, then, that many Japanese people struggle to recount the horrors of August 9, 1945; a recent survey claimed that 70% of the country’s citizens could not name the date on which the bomb was dropped on Nagasaki. 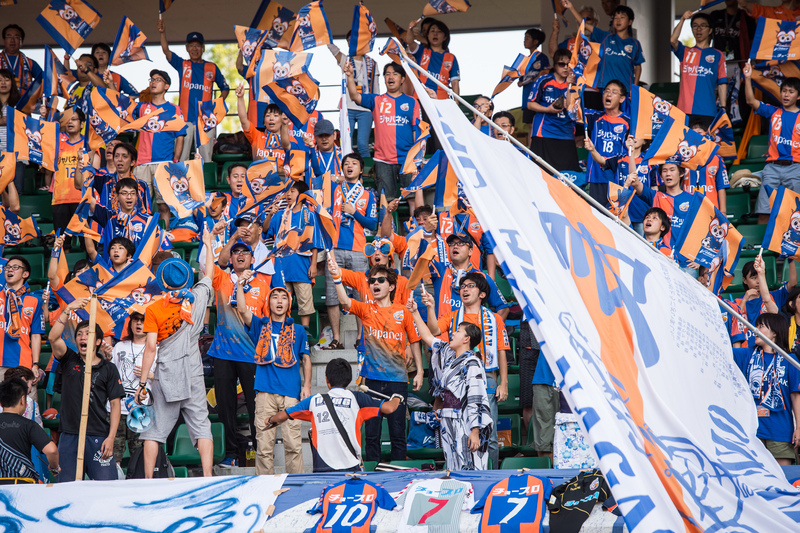 The home shirt, in the team’s distinct blue and orange colours, therefore promotes awareness and peace, its design incorporating both local and universal elements. An origami crane is printed alongside a faithful rendering of sculptor Seibo Kitamura’s iconic 1955 Peace Statue, located in Nagasaki Peace Park. A goalkeeper shirt, in yellow and pink, has also been released. V-Varen Nagasaki unveiled the special hummel home shirt on August 8th, a day before the landmark anniversary, in a tie with Consadole Sapporo. The football club and the city mark the date each year, but this 70-year commemoration was especially poignant. More than a football match, the occasion was transformed into an act of remembrance and a celebration of unity. Around 1,300 people, including players, coaches, and their families, huddled in formation prior to kickoff, spelling out the word “PEACE” to a watching 10,184 spectators. Indeed, “peace through peace” was the theme of the day, the club stating that by the promotion of peace, peace can itself be achieved. Such a belief is epitomised by Kitamura’s Buddha-like figure, which takes pride of place on the front of the shirt. 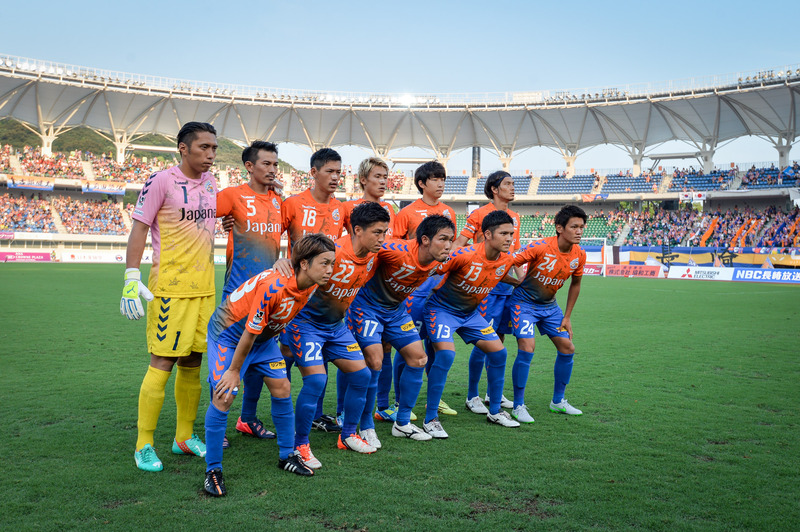 The team will run out with the kit for a second time at Nagasaki Athletic Stadium on August 23rd. Sanfrecce. Commenting on the shirt’s design, he said, “We can feel Nagasaki from these points. I think playing with this uniform is very significant. Takagi’s words chime with the founding aim of hummel’s Company Karma project, that is, to “change the world through sport”. Since Company Karma’s inception, hummel have sponsored and provided equipment to causes as diverse as amputee football in Sierra Leone and women’s football in Afghanistan, among others. Midfielders Naoya Ishigami and Ryota Kajikawa, like their coach, were quick to applaud the shirt. Ishigami noted the positive “pressure and responsibility” that came with the shirt, praising the inclusion of the Peace Statue, which he called “the symbol of Nagasaki”. It is not the first time that V-Varen Nagasaki and hummel have collaborated on a noteworthy shirt. Earlier in the year, to celebrate the 10th anniversary of the club, players smartened up with a ‘tuxedo’ kit, replete with bow tie and buttons. 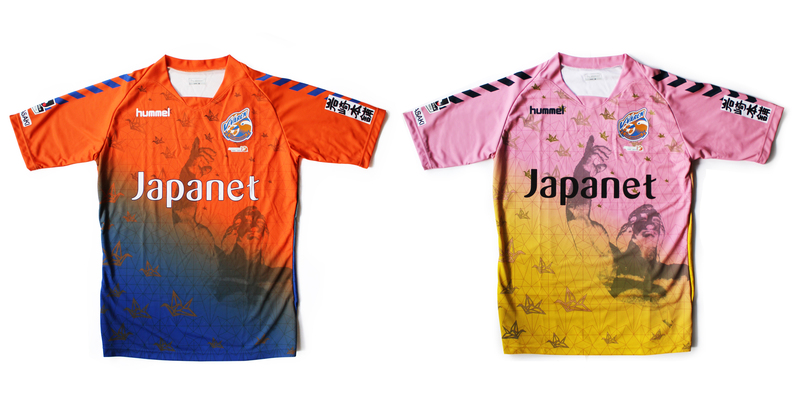 What do you think of the Hummel and V-Varen Nagasaki ‘Pray for Peace’ shirts? Let us know in the comments section below or on our Twitter and Facebook pages. Running shoe release: adidas launch new ‘Frozen Yellow’ colourway for their Ultra BOOST!